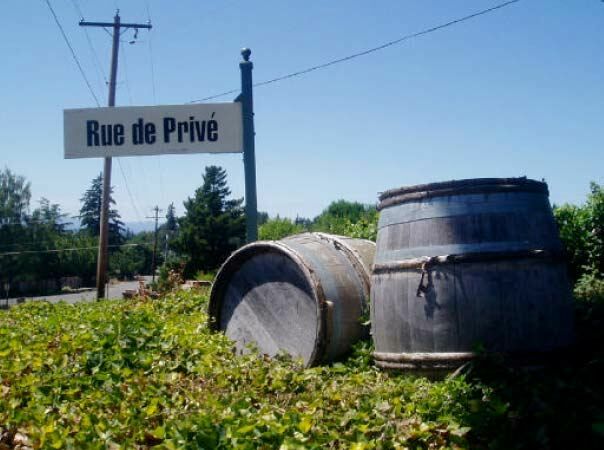 It is ironic that the modern Oregon wine industry was founded by outsiders, many of whom came from California, yet Oregonians have never been fully receptive to hosting wine tourists. Unlike California, Virginia, New York and New Zealand, Oregon has never developed the infrastructure to comfortably accommodate visitors eager to discover the state’s marvelous wines. The Willamette Valley is an amusement park of Pinot Noir, yet because of a lack of lodging and other tourist amenities in the Valley, many visitors shun staying at the “park,” heading instead back to Portland after a day of wine tasting where ancillary services such as comfortable accommodations, fine dining, and shopping are readily available. Understandably, residents of the Willamette Valley want to preserve their bucolic piece of paradise and maintain their agricultural heritage. However, Oregonians are slowly coming to terms with the reality that tourism can be tastefully integrated into the countrified lifestyle of their communities. Recent lodging and dining additions to the Willamette Valley now offer the wine lover some enticing options. 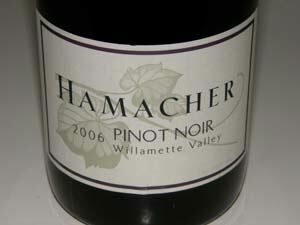 Willamette Valley's Pinot Paradise has now become an attractive destination for the sophisticated wine enthusiast. All photographs in this article are copyrighted and used with the permission of Andrea Johnson Photography (www.andreajohnsonphotography.com). They may not be reprinted or used for advertising purposes. The story of the Inn at Red Hills begins with Dustin Wyant. He grew up in Bend, Oregon, had a successful career as the Sales and Marketing Director for Willamette Vineyards, and later spent twelve years in Montana managing the St. Mary Lodge & Resort at Glacier National Park. He recruited staff from all over the world, managed a seasonal work force of 250 people, oversaw five restaurants and even filled in as a working chef when the chef abruptly departed one summer the day before the July 4 holiday. Upon returning to the Willamette Valley, Wyant envisioned a 60-room luxury hotel built on a farm in the Dundee Hills modeled after the Blackberry Farm in Tennessee and the Herbfarm in the state of Washington. He wanted to offer guests a full immersion in the Oregon farm and wine country experience by surrounding the luxury inn with a working vineyard and winery, a cheese maker, and livestock, poultry, and organic gardens that would supply the on site restaurant with a sustainable source of fresh food. 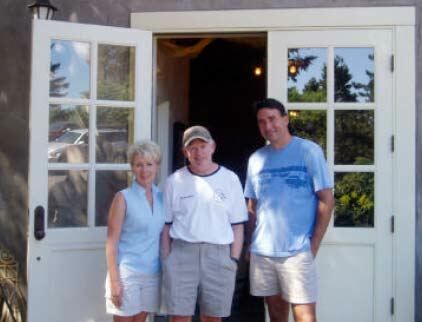 He realized that the Willamette Valley had no professional hospitality to offer the wine traveler touring the region. Wyant connected with a prominent local Oregonian, Kendall Bergström, whose family had left Portland to settle in Dundee in the late 1990s. Kendall’s father, John, a successful surgeon, wanted to return to his childhood agricultural roots remembered as a child in Sweden. He planted Bergström Vineyard and soon after, in 1999, launched Bergström Wines with his son, Josh, handling the winemaking duties. Kendall and her husband Paul de Lancellotti founded de Lancellotti Family Vineyards the same year on top of Calkins Lane in the Chehalem Mountains. In 2001, the Bergström Winery was built on the de Lancellotti property. With both wineries well established, Kendall turned her attention to commercial real estate development. Upon meeting Wyant in 2006, she realized they both shared the vision of creating a casual but elegant hotel and spa in the Willamette Valley. Their search for an appropriate site led them to a 3.5-acre property on Worden Road in the Dundee Hills, a short distance from Highway 99W, the main thoroughfare through Dundee. Together they dedicated six months to lobbying for their hotel in the state legislature in Salem, but their proposed land use was denied. 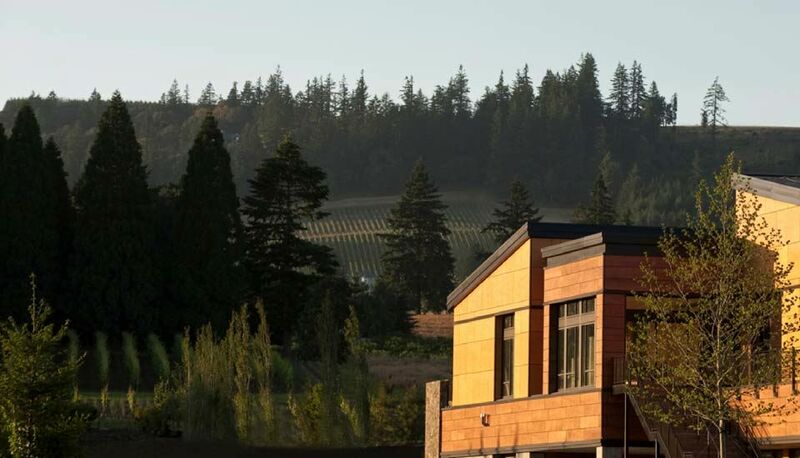 Discouraged, but undaunted, they decided to convert two new commercial buildings in Dundee into Oregon Wine Country’s first full-service boutique hotel. The process of retrofitting the buildings to meet their vision was challenging, but the result has been very impressive. They elected to work with contractors who primarily lived within 30 miles of Dundee and attempted to use green materials such as recycled fiber carpets whenever possible in furnishing the guest rooms. The Inn at Red Hills has 20 distinctive rooms, each with a different size, layout and view. Some rooms are located on the Highway 99W side of the building, but I did not find the traffic noise to be intrusive. The rooms are tastefully furnished with all modern amenities including 40” flat-screen televisions, comfy beds with adjustable firmness, choice of hypoallergenic pillows or down feather blend pillows, well-lit bathrooms, roomy showers, organic bath products, hi-speed internet access, and individual room-operated heaters and air conditioners. The walls are decorated with Oregon wine country photographs by renowned photographer, Andrea Johnson, whose photographs appear in the new book, Passion for Pinot, and who supplied the images for this feature. Her works are also displayed in the Inn’s restaurant. Complimentary morning coffee and tea service is available daily as are bottled water, cookies, and the Oregonian and USA Today newspapers. 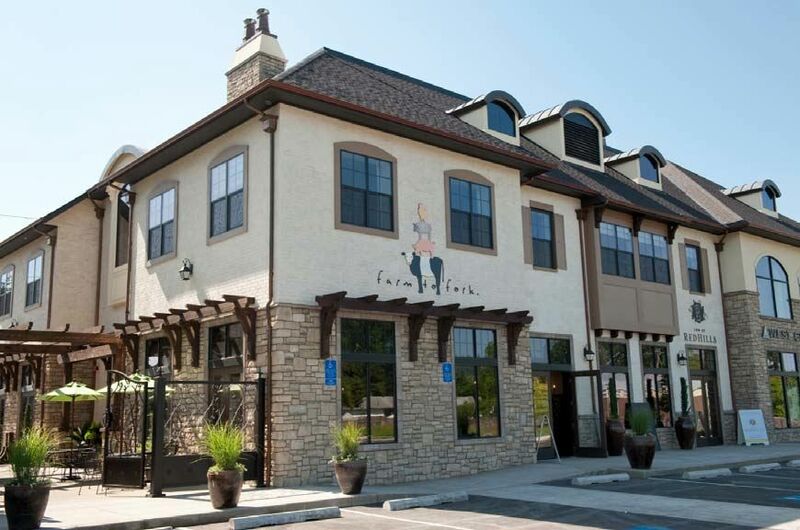 There is ample free parking, and the Inn’s restaurant, Farm to Fork, is conveniently located a few steps away from the guest rooms removing any worries about driving home after an evening of revelry and Oregon Pinot Noir. The Farm to Fork gourmet cafe and market is located next to the Inn’s compact lobby and is a bright and comfortable spot to dine. Breakfast, lunch and dinner are served daily. The service is exceptionally prompt and the personnel are professionally trained. Either Wyant or Bergström are always visible in the restaurant, offering guests personal attention and administering to every detail. Outside seating is available in the stone courtyard adjacent the restaurant. Fresh-baked pastries are available each day at 6:00 AM for early risers, breakfast begins at 7:00 AM daily. I loved the hearty breakfasts which included tasty items like Alderwood Smoked Trout and Farm Egg Scramble ($11), Almond Battered Brioche French Toast ($9), and Croque Madame ($11). The dinner menu changes frequently depending on what is farm fresh and locally available but first courses include choices like Warm Truffled Goat Cheese Tart ($9) and Grilled Rabbit Sausage with Pinot Noir Stewed Cherries ($9). Entrees include Wild Coho Salmon with Pesto Basted Fingerling Potatoes ($19), Superior Farms Leg of Lamb with Hazelnut Salbitixada and Charred Sweet Onions ($18), and Roasted Draper Farms Chicken Breast with Yukon Gold Potato Puree ($16). I am beginning to salivate. The Press Wine Bar is a focal point of the restaurant with a wall of wine bottles leading to a roomy and inviting lounging area and tasting bar. Manager Mark Bosko has assembled an impressive offering of local Oregon wines, most of which are sourced from growers and/or wineries that are sustainable, organic and biodynamic. Bosko is very knowledgeable and well-connected in the local wine community allowing him to access interesting small lots of wines including older vintages. A rough hewn wood community table that seats 8 is my favorite place to dine. Featured flights of wines change frequently, but the choices are always interesting. 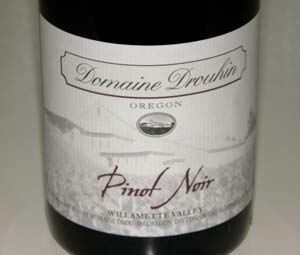 When I visited, the Oregon Pinot Noir Flight included the 2007 Crowley Willamette Valley Pinot Noir, the 2007 Roots Estate Yamhill-Carlton District Pinot Noir, and the 2007 Ayoub Memoirs Willamette Valley Pinot Noir. A “Pink is the New White Flight” consisted of 2008 Penner-Ash Roseo, 2007 Belle Pente Cuvee Contraire, and 2008 Antica Terra Pinot Noir Rose. If you hang out at the tasting bar, you will almost certainly run into friendly local winegrowers or winemakers. The first night I arrived, I was exhausted after a day of traveling. It was 98ºF outside. I grabbed a bottle of cool wine from the extensive selection, ordered a salad and sandwich from the deli, and retreated to my room to eat and sip in complete relaxation. It was a simple but very memorable dinner. 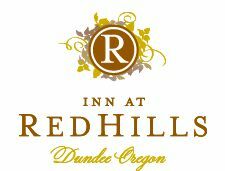 The Inn at Red Hills has a large meeting space with floor-to-ceiling windows that can accommodate 85 people for a sit down dinner, a large group for a business meeting or a wedding reception. For wine enthusiasts, the concierge services offered by the staff are unmatched in the region. Wyant, Bergström and Bosko are plugged into the wine community and can arrange tastings at boutique wineries, often at short notice, that are normally closed to the public. Personal touch is the hallmark of the Inn at Red Hills. The lodging has a B&B mentality, but offers all the amenities of a small luxury hotel. The owners continue to dream of the day when Dundee will resemble St. Helena in the Napa Valley with its walkable access to many restaurants, lodgings, and boutiques. In the meantime, they have created a welcoming retreat in the Willamette Valley wine country. Website: www.innatredhills.com. Address: 1410 N. Highway 99W, Dundee. A 45-minute drive south of Portland (36 miles). Over 100 wineries located within a 30-minute drive. Phone: 503-538-7970. Room Rates: Seasonal but generally $150-$350. Owner Joan Austin, who along with spouse Ken founded Newberg’s A-dec dental equipment company, has family roots that trace back to the 1850s Oregon Trail. These Oregon values have led her to create a property naturally complimentary to Oregon’s existing way of life, as opposed to a development that imposes itself on the region. Seattle-based architectural firm GGLO was charged with designing a luxury inn that was authentic, environmentally sensitive, casual yet sophisticated, and timeless. 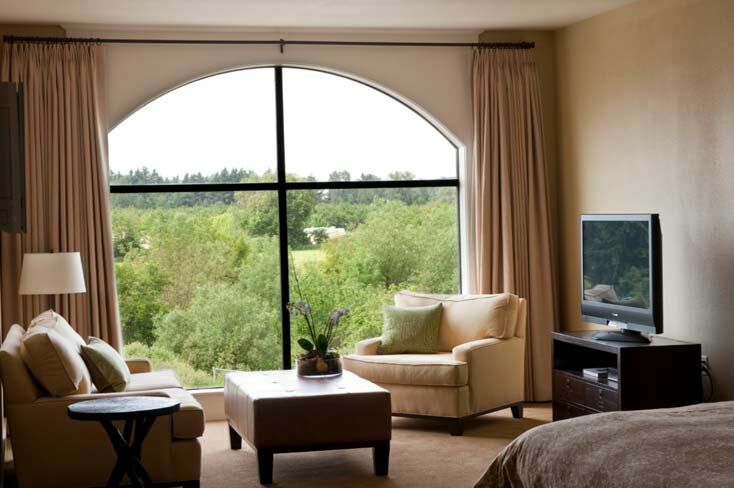 Nestled in the foothills of the Chehalem Mountains in the town of Newberg in Yamhill County, the Allison Inn & Spa takes full advantage of the adjacent rolling hills, orchards, vineyards and agricultural farmland. Views to the east, west and south include Parrett Mountain, Chehalem Mountains, and the Dundee Hills. 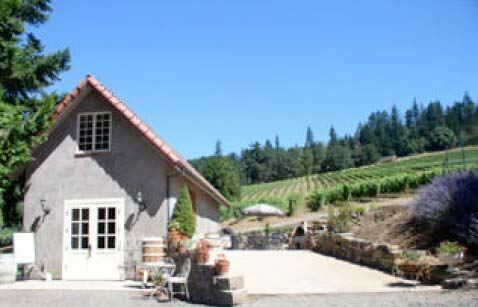 The four-level hotel is situated on 35 hillside acres and features abundant flower and herb gardens, groves of deciduous and conifer trees, and five acres of Pinot Noir vineyards (managed by David Adelsheim). The look is contemporary with generous use of polished wood, copper accents, glass, steel and stone on the exterior and warm, modern furnishings, handcrafted Oregon wood and local contemporary art on the interior The focal point of the Inn is a dramatic glass-enclosed circular staircase connecting all four levels of the Inn’s guest wing. The Allison Inn & Spa is one of the few hotel properties in the world committed to obtaining LEED certification. 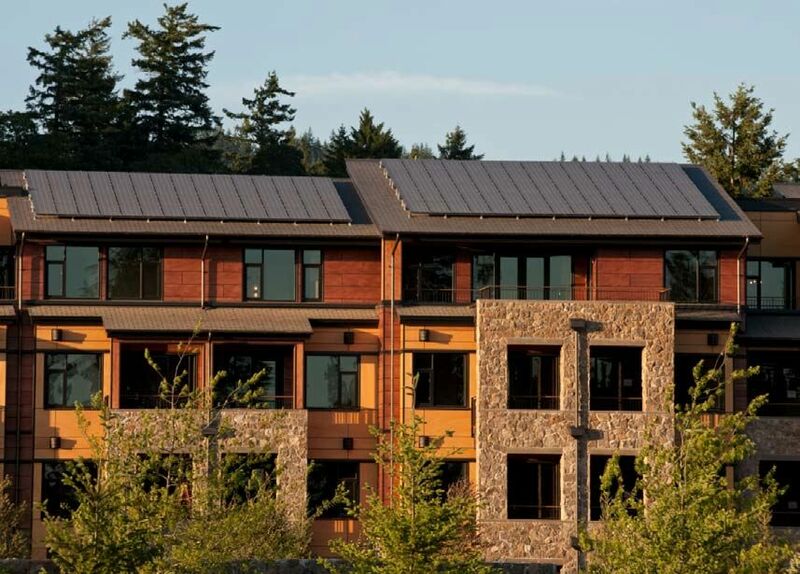 This “green seal” of building practices and sustainable ongoing operations is revealed in features like solar hot water, photo voltaic cells generating seven percent of electricity, absence of plastic bottles on the property, and a roof on the meeting and function wing planted with sedum green eco-roofing. A total of 85 guest rooms including 20 suites are located in the separate east guest wing. The rooms vary in size from 485 square feet (Deluxe King) to 1,575 square feet (Two-Bedroom Grand Suite). All rooms feature a private terrace or balcony, upholstered window seat, fireplace, built-in satellite television and DVD player, and custom-crafted modern furnishings. Five-fixture baths include double sinks and spa inspired soaking tubs. Window shades and climate controls are fully automated. The color scheme of ochre, pumpkin, eggplant and leaf green, is soothing to the eye. A final touch is the placement in each room of a hand made table fashioned with Oregon walnut. As I toured The Allison during construction with General Manager Pierre Zreik, he pointed out that all the Inn’s facilities, except the indoor pool and gym, are available to the public. Zreik brings years of experience to his management position, having worked with the Four Seasons and Hyatt chains, and most recently as manager of Cavalla Point in Sausalito, California. The Ballroom and Foyer, Meeting Rooms and Board Room are located in The Allison’s west wing and total 12,000 square feet. The rooms have sweeping views, large outside terraces, and can accommodate gatherings of 10 to 200 people, making The Allison a perfect site for weddings and important social events. The Allison’s restaurant, Jory, named after one of the soils that is typical of the region, features Oregon’s agricultural bounty, wines and microbrews. The Oregon Wine Country menu is complimented by a 8,000 bottle cellar featuring the largest selection of Oregon Pinot Noir in the state. Over 50 wines are available by the glass using a Enomatic system and wines are served appropriately in Riedel Oregon glassware. The cuisine is strongly influenced by seasonality and the bountiful local produce including vegetables and herbs grown in the chef’s garden adjacent the restaurant. The restaurant seeks out organically grown produce when possible and butchers all meat in house. 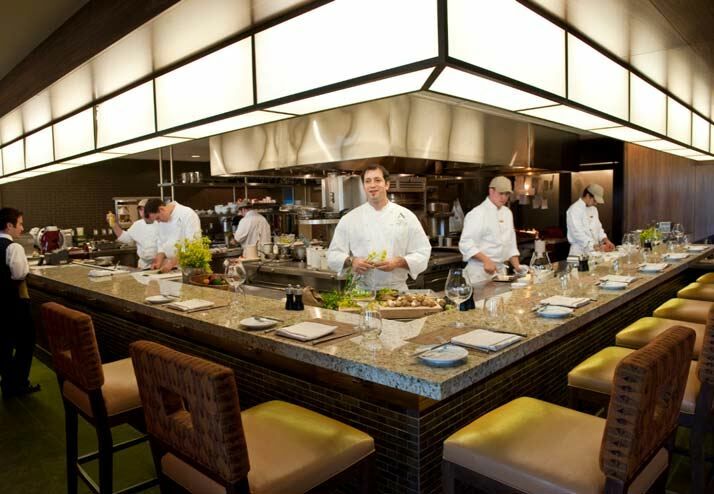 The Executive Chef is Nathan Lockwood (pictured below in the open kitchen), who previously was the chef at Acquerello in San Francisco and Fork in Marin County. A chef’s table sits in the center of the open dining room and can accommodate 8 diners, a private dining room will seat 10-18 (photo above), and informal counter seating facing the open kitchen will accommodate 10. There is also outdoor terrace seating. In-room dining is available 24 hours. A concierge can fulfill any special interests such as golf at the new 18 hole Chehalem Glenn course in Newberg, winery touring, hot air ballooning, helicopter winery tours, equestrian and cycling winery tours, shopping and galleries, heritage sites and museums including the Evergreen Aviation & Space Musuem in nearby McMinnville. The Newberg Cultural Center is slated for opening in 2010. This is truly an “Allison Wonderland,” that finally brings the full luxury hotel and spa experience to the Willamette Valley with all of Oregon’s working farms and vineyards just outside the door. The Allison is literally a paradise for Pinot lovers. Website: www.theallison.com. Address: 2525 Allison Lane, Newberg. A 45 minute drive from Portland and less than 2 hours drive to the Oregon coast. Phone: 503-554-2525, 877-294-2525. Room Rates: $295 to $1,100 per night. Seasonal packages and specials available. Director of Sales: Laura Crugnale can assist in planning your visit and events (laura@theallison.com). Grand Cru Estates is an idea that will be welcomed by Pinot Geeks who have dreamed of handcrafting a single barrel of premium Pinot Noir from the region’s finest grapes, assisted by expert winemaking guidance, all at a beautiful, member-only estate winery. Set among the rolling hills of the Yamhill-Carlton District, Grand Cru Estates’ 130 acres includes a 13,000 square foot gravity-flow winery, over 50 acres of Pinot Noir plantings, common rooms for social events and relaxation, and a professional kitchen staffed by a James Beard Award winning chef. The partners in this innovative venture are Laurent Montalieu and Danielle Andrus Montalieu of Solená Cellars and NW Wine Company, and winegrowers Steve and Marian Bailey). The exterior is reminiscent of a traditional farm featuring stone and weathered wood and includes ecological friendly features like solar power and rainwater collection. 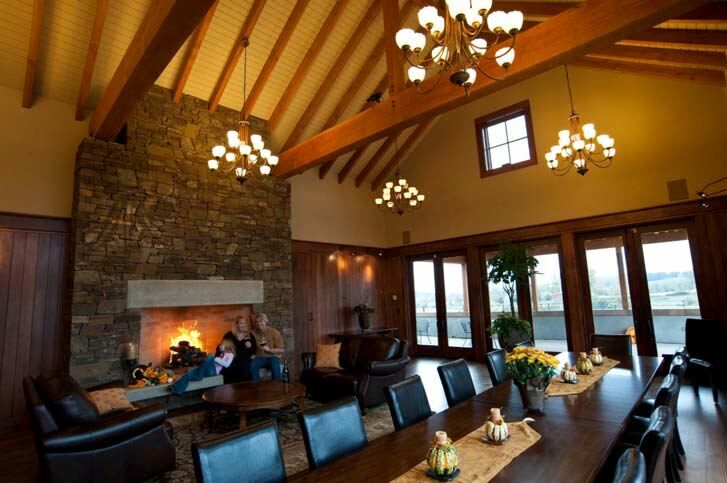 The common rooms have heavy, open-beamed ceilings, a rock fireplace is the focal point of the dining and meeting room (below), and broad vineyard views create a sense of rustic luxury. The overall feeling is a return to a simpler time and connection with nature. 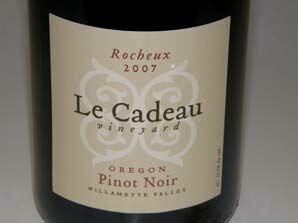 Members of Grand Cru Estates can access premium fruit from any of the six distinctive AVAs in the Willamette Valley. Notable vineyards include Ana, Bailey Estate, Carabella, Domaine Danielle Laurent, Guadalupe, Hyland, Kalita, Willakia, and Zena. 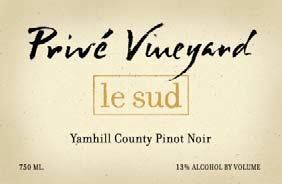 Members work one-on-one with the winemaking team of Laurent Montalieu (who also crafts his own Soléna Estate wines at Grand Cru Estates) and Tony Rynders, who together have worked a combined 20 vintages in the Willamette Valley. 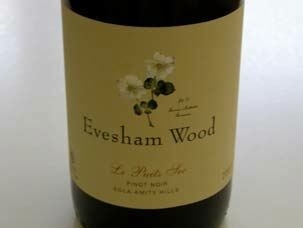 Both have many accolades and great wines to their credit. (Photo below: Left, Tony Rynders, Right, Laurent Montalieu). Laurent Montalieu came to Oregon as winemaker at Bridgewiew Vineyards and later became a partner and winemaker at Wilakenzie Estate. With his marriage to Danielle Andrus, who helped launch her family’s Archery Summit winery, the couple launched Domaine Danielle Laurent and Soléna Cellars, named after their daughter. 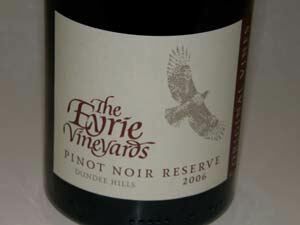 They are also partnered owners of NW Wine Company, NW Wine Bar, and Hyland Vineyards. 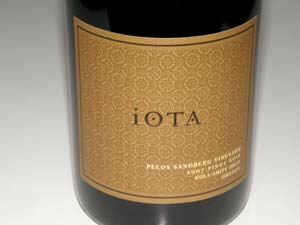 Tony Rynders graduated with a Masters in Viticulture and Enology at University of California at Davis and interned in California, Australia and Italy. 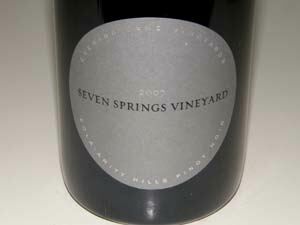 He held winemaking positions at Argyle Winery and Hogue Cellars before becoming winemaker at Domaine Serene. 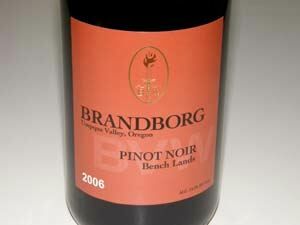 During his ten years there, he produced some of Oregon’s most impressive premium Pinot Noirs and Chardonnays. Whether present at each step of the grape harvesting and winemaking process, or simply to enjoy the final wine, each member will receive a single barrel of wine that his or her custom, ultra-premium Pinot Noir that carries the signature stamp of Montalieu and Rynders. Chef Philippe Boulot directs the culinary arts program at Grand Cru Estates. 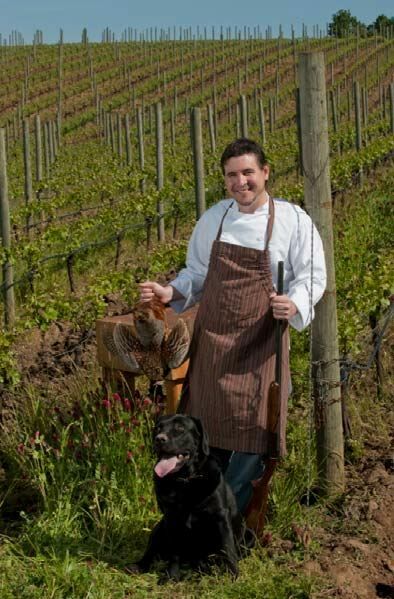 He is Culinary Director at the Heathman Restaurant in Portland and Executive Chef at the Multnomah Athletic Club. The kitchen at Grand Cru Estates will be a central hub of activity, with cooking classes, winemaker dinners, private member events, and the “Les Amis de Philippe” guest chef series. In time, the estate property will be a source for organic fruits, vegetables, herbs, honey and more, with members having the opportunity to participate in all phases of the food experience from picking the produce to relishing the food and the wine they have created. Three levels of membership are offered that vary in their winemaking involvement, wine quantity and cost. All club members receive the following benefits: (1) Access to the estate, vineyards, winery and gardens, all of which are reserved exclusively for members and their guests, (2) The opportunity to use the estate for private events twice a year, (3) Personal concierge service for planning wine country excursions, (4) Culinary arts events with Chef Philippe Boulot, (5) Educational seminars on winemaking, viticulture, biodynamic farming, and more, and (6) 20% discount on purchasing wines offered through the NW Wine Bar in McMinnville. 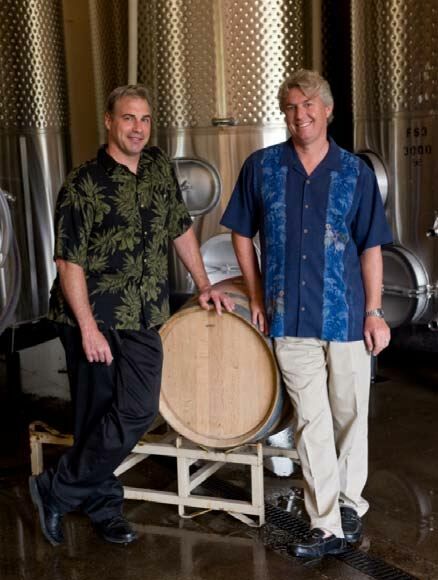 In addition to these member benefits, Grand Cru Membership includes: (1) Partnership with winemakers Laurent Montalieu and Tony Rynders to produce from one to six barrels (25 to 150 cases) per vintage of custom Pinot Noir with your own name and label, and (2) A one-case wine locker at the winery. Premier Cru Membership includes a yearly wine purchase of a half barrel (12 cases) of wines chosen from Grand Cru Estates winemaker’s blends with your own name and label. Village Membership includes a yearly wine purchase of a quarter barrel (6 cases) of wines chosen from Grand Cru Estates winemaker’s blends. 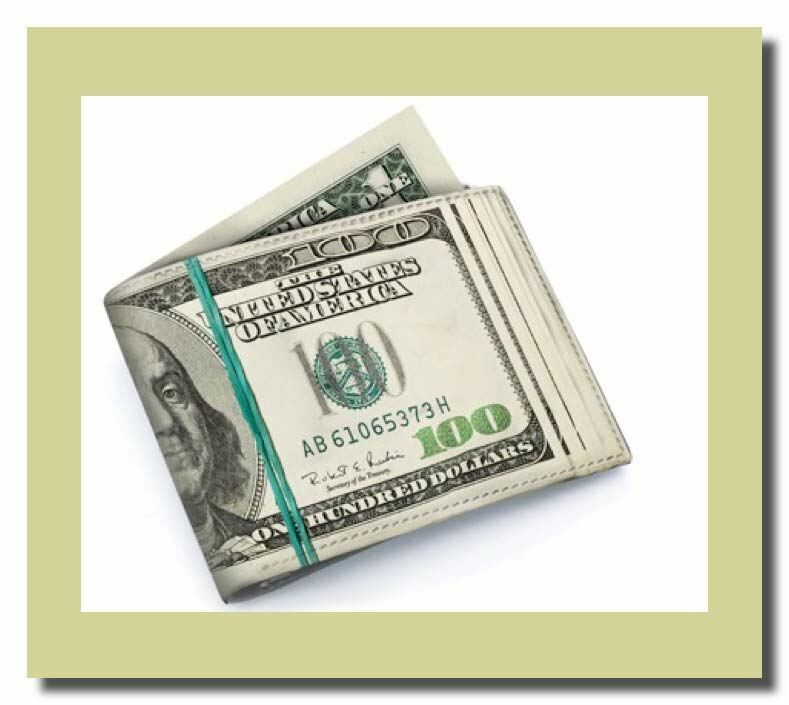 For all membership levels, there is a one-time joining fee of $5,000 that entitles members to all the global member benefits. The yearly wine costs vary according to the membership level, with Grand Cru Members purchasing a full barrel per year at $20,000, Premier Cru Members purchasing a half barrel at $10,000, and Village Members purchasing a quarter barrel at $5,500. For further information or to download the membership prospectus, visit www.thegrandcruestates.com. The phone is 503-662-4730 and email is info@thegrandcruestates.com. The address is 17100 NE Woodland Loop Rd, Yamhill, Oregon, 97148. The inaugural Open House is Thanksgiving weekend, November 27, 28 and 29, 2009. Tours are available by appointment. 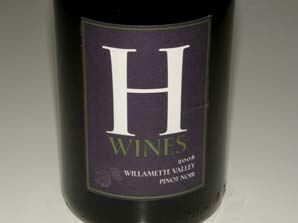 Hyland Vineyards dates to the early 1970s when four families (the Kreimeyers, Markleys, Welches and Trenhailes) planted this property located in the Coastal Range foothills southwest of McMinnville. 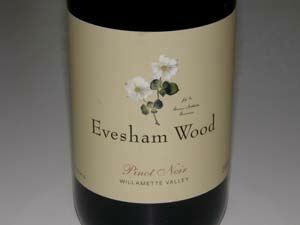 One of Oregon’s oldest and largest vineyards, it has been a source of fruit for such notable wineries as Amity Vineyards, Andrew Rich, Auteur, Belle Ponte, Belle Valle, Bergström, Brooks, King Estate, Rex Hill, Sokol Blosser, and Torii Mor. The 154 acres, with just over 100 acres planted to vines, sits at 600 to 800 feet elevation and commands majestic views of the Williamette Valley including Mt. Hood. Soils are primarily volcanic Jory with some Nekia. 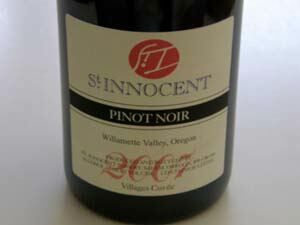 Over 47 acres are planted to own-rooted old vine Pinot Noir, 22 acres to newer grafted Pinot Noir, and smaller amounts to Chardonnay, Riesling, Gewürztraminer and Muller-Thurgau. Noted viticulturist Joel Myers (Vinetenders) manages the vineyards. The Montalieus partnered with investor John Niemeyer to purchase the Hyland Vineyards with the intent of developing the land not committed to vines into parcels for custom home development. Nine parcels ranging in size from 7.6 to 15.67 acres are available, all in a rural environment that is only reachable by a private road. 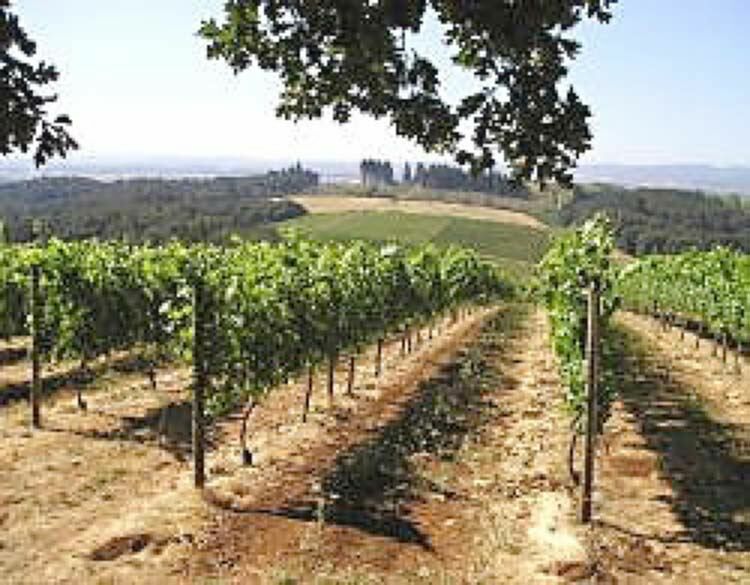 This is a unique opportunity to develop a homesite on view property adjacent one of Oregon’s iconic vineyards. To visit the property or obtain more information, contact Kendall Bergström at 503-799-2596. The article, “A Hint of Hype, A Taste of Illusion,” reviews two well-publicized studies by statistician Robert Hodgson that support the notion that repeated judgments of the same wine, by the same wine expert, are so widely disparate that the ratings and medals given to wines are meaningless. When Hodgson studied the results of multiple wine competitions, he found the medals were spread around at random, essentially what one would expect by chance alone. Winery owners are well aware of this, and many of them admit to sending their wine to many different competitions because the wine, assuming it is good, will eventually win a gold medal by chance if submitted to enough competitions. Winery owner and winemaker, Richard Alfaro, of Alfaro Family Vineyards in Corralitos, California, pointed out to me the hard reality about wine competitions. He noted that most of them are profit driven, not passion driven. The San Francisco Chronicle Wine Competition, for example, is a prestigious event and receives almost 5,000 wines for judging. That amounts to $300,000 in entry fees alone. In addition, multiple bottles of the same wine have to be submitted by the winery for judging. After the judging, a public tasting of the medal winners is held in which the wineries pour their wines for free. Last year the Chronicle sold 5,000 tickets ($45 in advance, $80 at the door) amounting to at least another $225,000. Most of the people working the event, including the judges, are volunteers and much of the food, water and logistics is either donated or supported by sponsors. On top of this, if a winery wins a Gold Medal, the Chronicle strongly encourages the awarded winery to advertise in the annual San Francisco Chronicle Wine Competition results issue, contributing significant advertising revenue to the organizers. When you look at the numbers, it is easy to see why there is a tremendous number of wine competitions. So who really benefits from wine competitions? 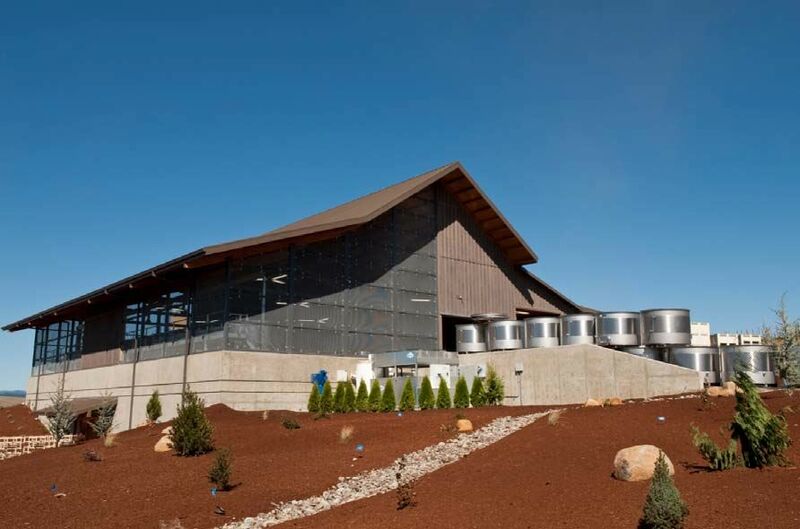 Wineries may not profit because the expenditure is significant if they enter multiple competitions, diluting the potential value of added sales revenue. If a wine does win a Gold Medal, it may quickly sell out, but other wines in the winery’s portfolio may suffer from perceived relative inferiority. Boutique wineries rarely benefit because they simply cannot afford to enter several competitions and often choose to enter none at all. The wine consumer derives little benefit because the results are not widely publicized and a majority pay no attention to medals won in wine competitions. It is wine critics’ scores that draw their attention and drive sales. Those who benefit the most from wine competitions are the organizers who pad their wallets through a falsely perceived premise that medals are awarded by judges who are infallible. 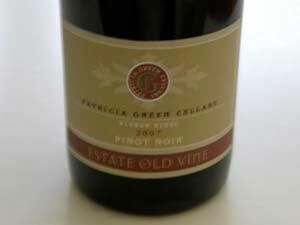 Your comments are welcome: prince@princeofpinot.com.